Arising very early, I moved the large boulder that was blocking the entrance to the cave! Actually one was very thankful just to have made it here. If passing through here this hotel will more than suffice for one night, the hosts were very friendly, as all Colombianos met so far. 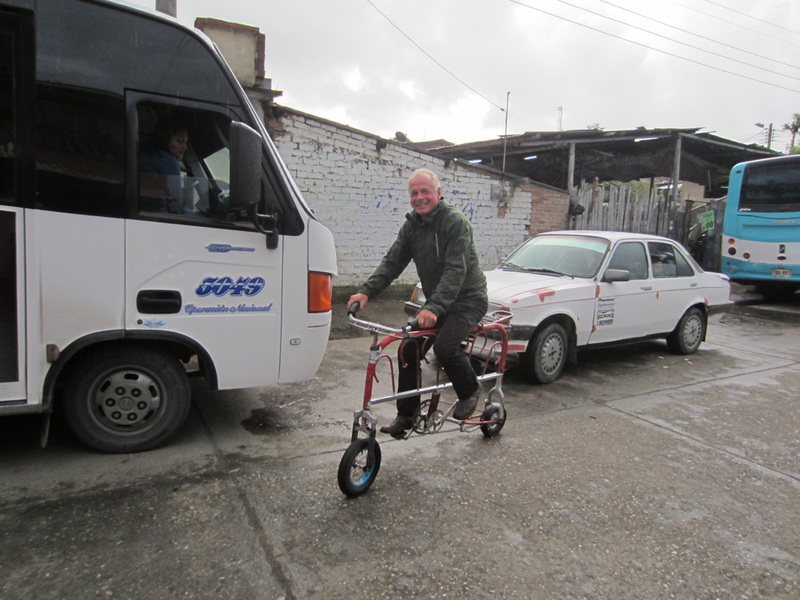 Heading down to the bus station, three great coffees were enjoyed had plus a couple of empanadas con rez. More gear was dumped, this time my bike cover, it was hardly used last year, it was given to the guy who worked at the hotel. 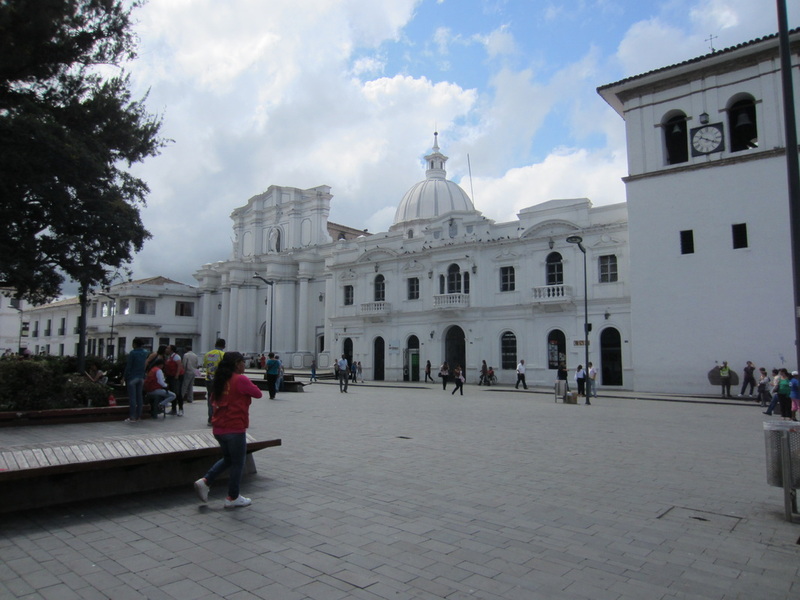 Arriving in Popayán and deciding to have a look at this large city, tracks were made to the central park, though on the way a huge mango was dissected with my Leatherman and devoured, sitting on the kerb. 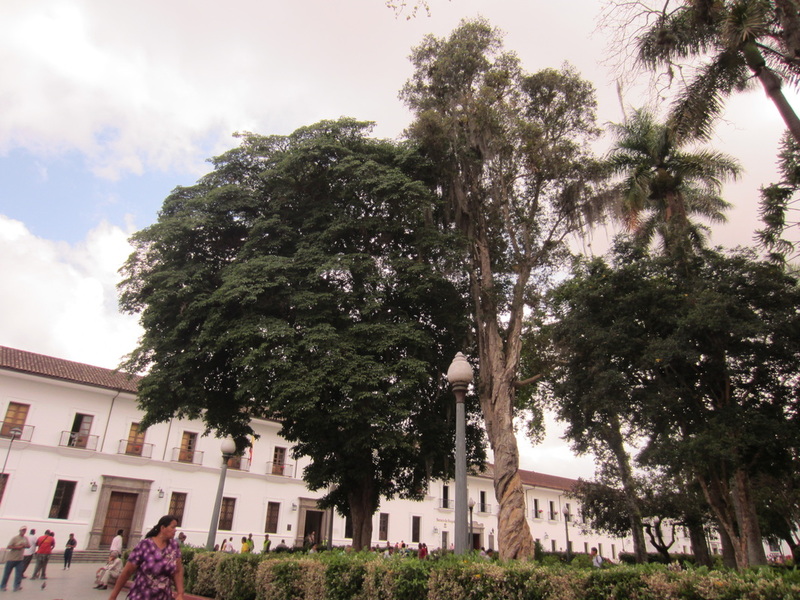 The central park in Popayán was spectacular, with mature trees and most buildings painted in white, a nice contrast between trees and the built environment. A Lunch was enjoyed and the trek out of town was made, it was a very busy place with a comfortable temperature. Once out of town, it was still up hills and back down again, all the while the country was lush with coffee plantations everywhere. Soon another cyclist joined me, he was on a mountain bike out for some exercise. It was nice to have company, the hills passed somewhat faster whilst we were chatting. Daimler lived in Timbio, we rode about twenty km together. He invited me to his house to meet his family. There his mother made a great beef soup and salad. He has a wife Lilliana and a cute daughter Helen, they learn English at school here. They had a large home, 10 people lived there, it over looked the town. Anyway Daimler and I headed off to find a motel. One was found nearby. That evening during more rain we headed out for dinner together. It is raining here most days early in the morning and the evenings the only two really dry months are July and August. 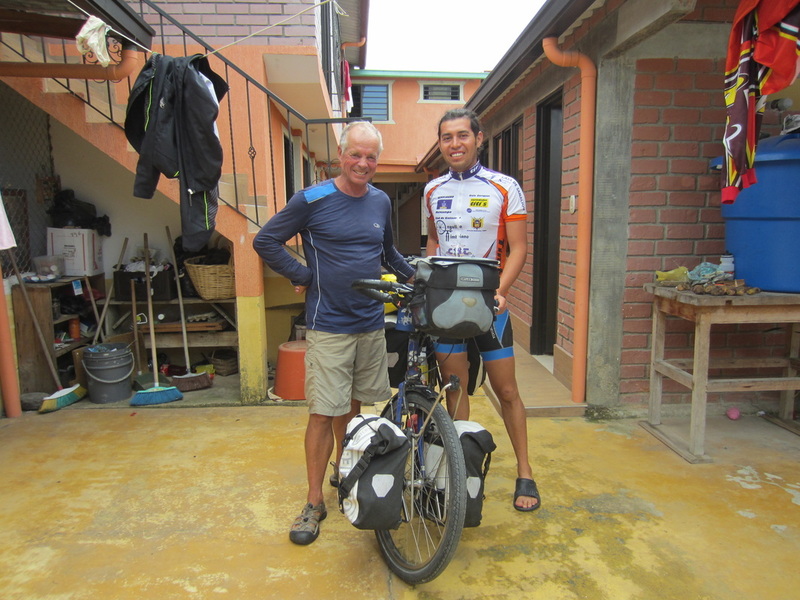 After dinner we went back to his house where I met his dad, he runs a taxi bus from Popayán to Timbio each day. Daimler is a teacher. It was nice to fall asleep in a very clean modern hotel.